PACOTHANE® HT1500 SMOOTH - is a High Temperature resistant release film specifically engineered for laminating rigid, flexible and specialty substrate Printed Circuit Boards. 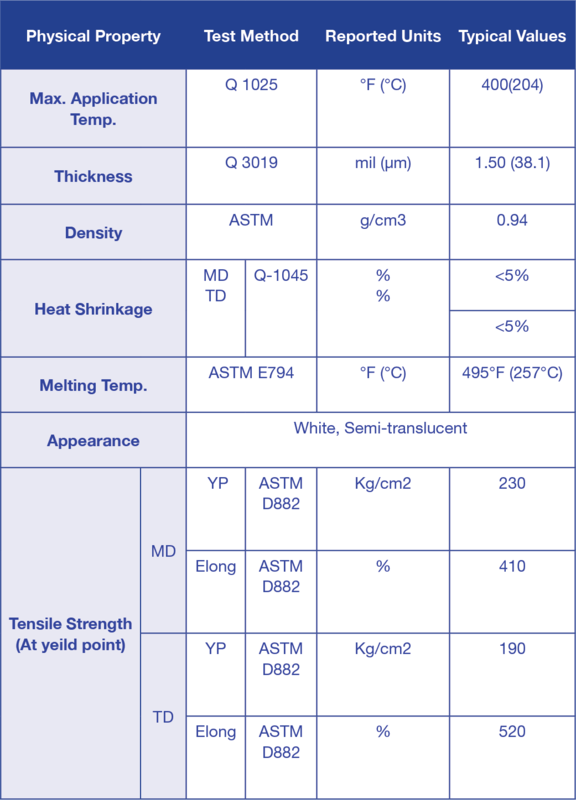 It is designated for those Pacothane Technologies customers who desire a release film application requiring a lower Rz value or less matte image transfer on the surface of the laminated substrate. For both of the above applications lower Rz values due to less image transfer is prevalent on all substrate surfaces such as Copper Foil, Kapton and various Unclad Resins when laminated with PACOTHANE® HT1500 Smooth. 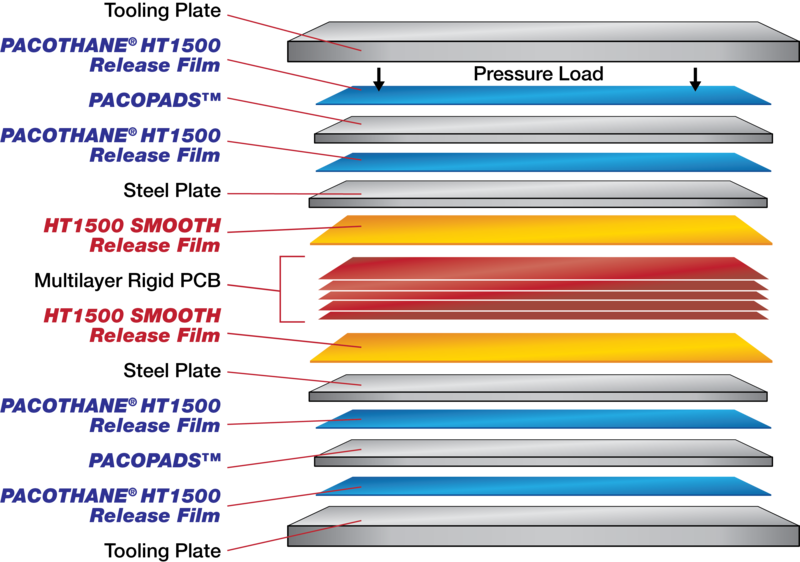 PACOTHANE® HT1500 SMOOTH RELEASE FILM is available in rolls or custom-made sheet sizes, tooled to customer specifications. The complete line of Pacothane Technologies products is available from leading local Distributors Worldwide who offer "Just in Time" delivery from locally-available stocks.